Senior Associate Attorney at Headrick. Admitted to the professional practice in 1999. She is currently the Director of the Corporate Department of the Firm. Her exercise is focused in corporate law, tax law and business law in general. 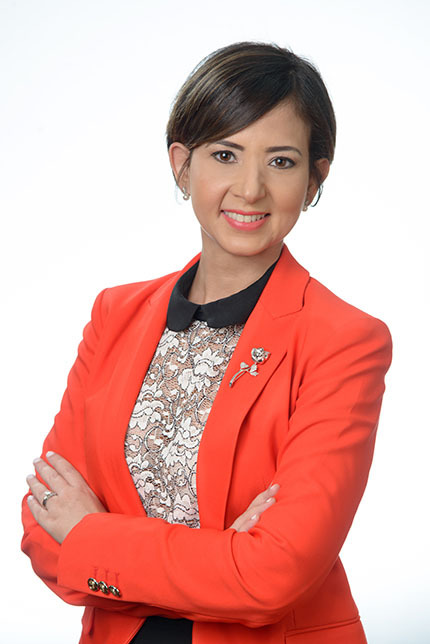 She has experience in banking law, due diligences and legal auditing, national and international arbitration processes, as well as in the area of public administration, working directly in the privatization processes of the Dominican state companies. Diploma in Internal Tax, National School of Finances and Auditing, Santo Domingo, Dominican Republic, 2009. She is fluent in Spanish and English; and has basic knowledge of French.